For those members wishing to participate in competitive matches, we have matches running all year round. 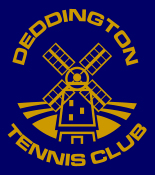 The club enters several teams in the local Banbury and District Summer, Winter and Floodlit Leagues as well in the Oxfordshire Babolat Leagues. Our B & C Floodlit teams play matches at home under the new floodlights and these matches start promptly at 6.30 pm in order to finish before the lights cut off at 9.30 pm. Team players should arrive at 6.15 pm. Our A team continue to use Banbury West End Courts as their home venue. For latest updates on dates when matches are to be played see the Court Availability section or click the links at the bottom of this page. We hold popular Match Practice sessions on Saturday mornings. Support is always welcome at our home matches. Courts are not usually available when home matches are being played but special requests can be made by checking with the captains.